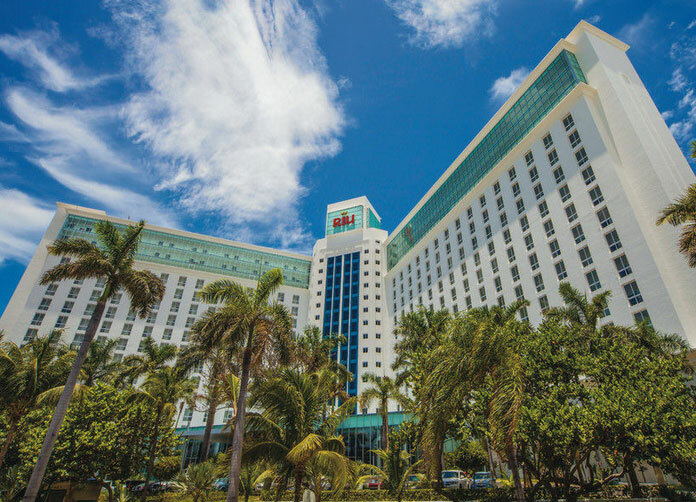 The Riu Cancun hotel has world renowned excellent service and an absolutely stunning architecture. Set in the middle of a strip separated by thousands of miles of Caribbean on either side this is one of the most luxurious resort in the area. 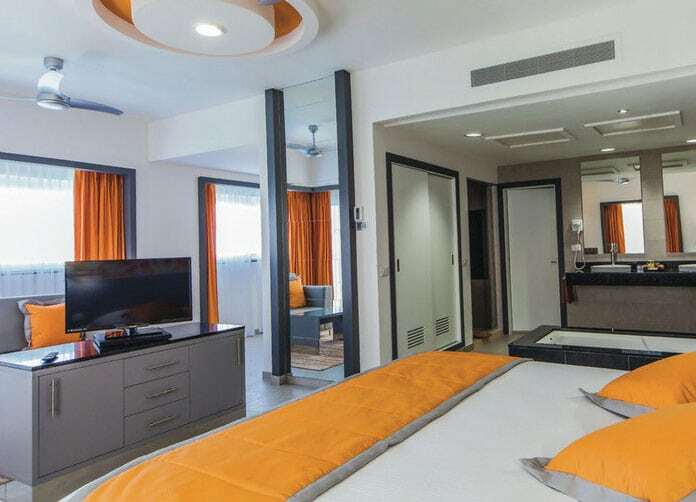 Their contemporary yet modern rooms provide a unique and astronomic feeling no matter what style of room you choose Standard, Standard with an Ocean View, or Junior Suite Ocean View, each coming with its own mini-bar. And with their superb all inclusive package you will be able to fill the mini-bar rather quickly with unlimited alcohol until 2 am and regular mini bar and liquor re-stocking; not only do you get unlimited drinks but also access to a whole strew of activities and shows including daytime adult entertainment, live music, and a “Pacha” Disco. 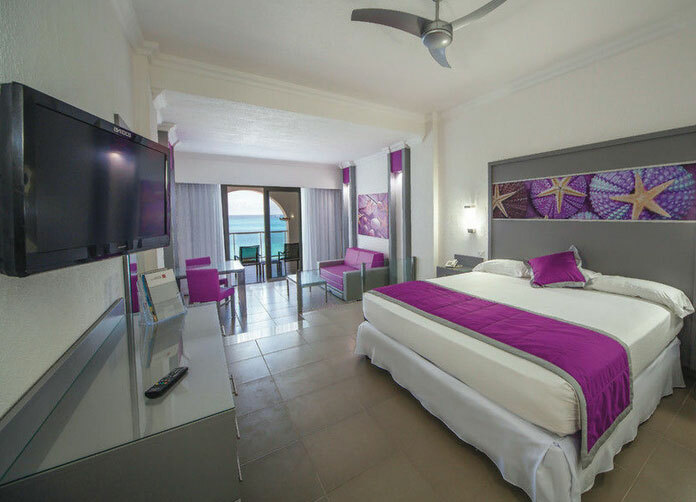 With each room at the Riu Cancun you can choose from a magnificent King Sized bed or Two Double Beds and all rooms come with a fantastic view with a private balcony. 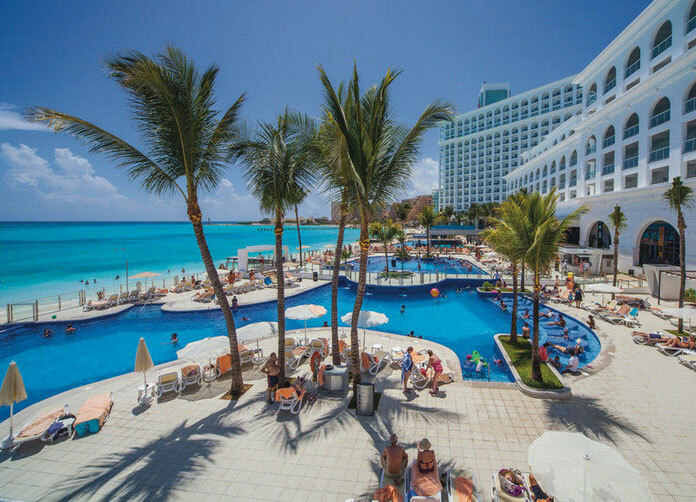 For the Kids the Riu Cancun Resort has an invitingly exciting Kids Club, and while the kids are busy enjoying theirselves, treat yourself to the superb pool, or satisfying spa. 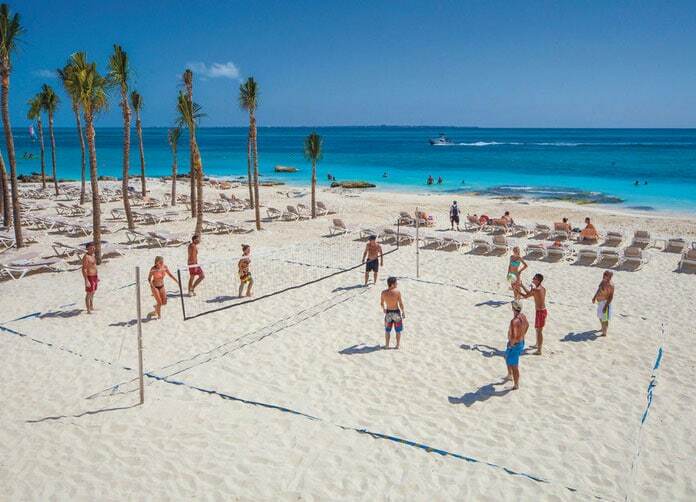 Or tackle a game of tennis on one of the two lighted tennis courts, windsurfing, sailing, or even take scuba lessons. The list is nearly endless. 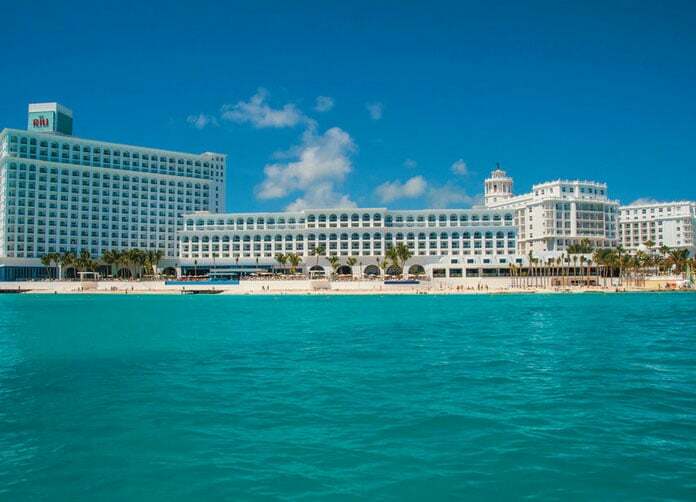 And if you thought you had your days packed, wait till you see the nightlife at the Riu Cancun. Choose from an exquisite selection of restaurants (which we’ll get to shortly) then take yourself for a night of dancing and disco; with the Salon Bar & La Punta it’s never a dull moment when you indulge in an exotic cocktail or two with excellent music too in the latter of the two bars, also El Faro allows you to enjoy your favourite drinks while relaxing by the pool and beach area while Wet & Drinking gives you the opportunity to enjoy great beverages (alcoholic and non) right inside the gorgeous pool. If Disco is more you’re thing try Discos Pacha and enjoy funky music with the latest in lighting and sound equipment. 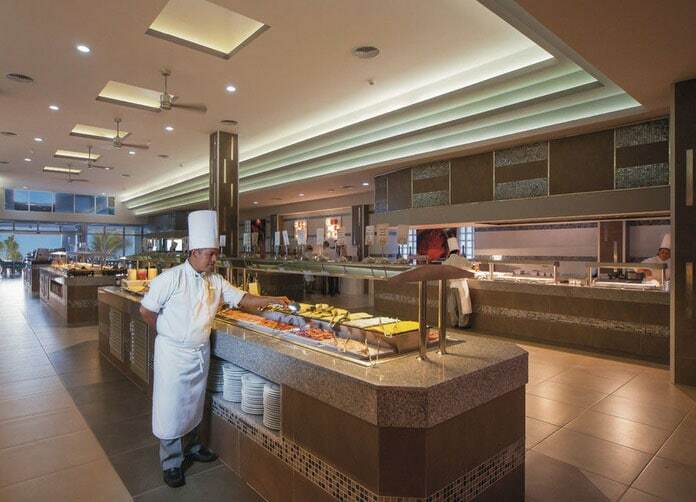 The restaurants give you just one more reason to go sleep with a satisfied grin on your face. Carazone: A fine romantic restaurant with a Brazilian dinner. 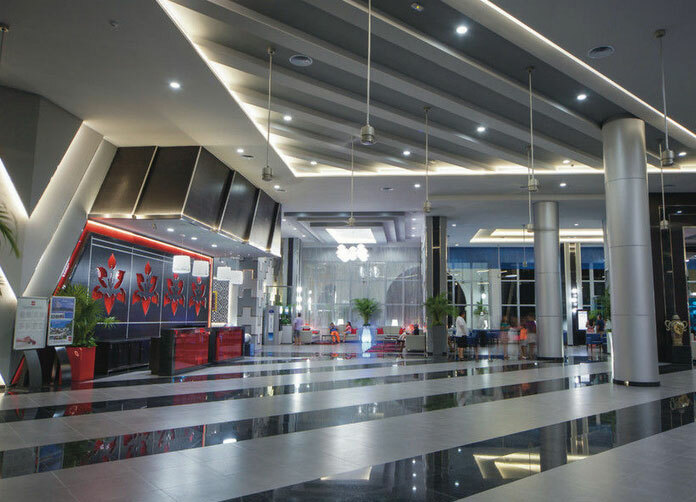 Don Juan: With its sophisticated yet homey look, you’ll have no trouble enjoying its excellent international cuisine. La Mision: To feel the ultimate in extreme service and special attention to detail visit the La mission and enjoy excellent steaks and a Mediterranean cuisine. Address: BLVD. KUKULCAN KM 9 ZONA HOTELERA, Zona Hotelera. Cancun, Quintana Roo. Airport Distance: 20 Km. (12.50 Mi. ).